Gorski quilted puffer jacket with 80/20 duck down/feather fill. 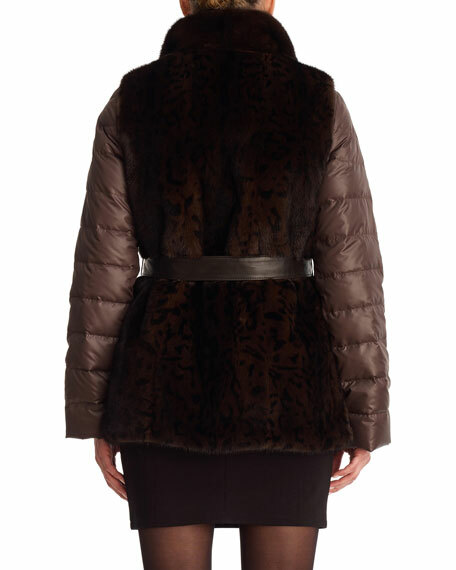 Removable vest in dyed mink fur (Denmark), reverses to silk taffeta. 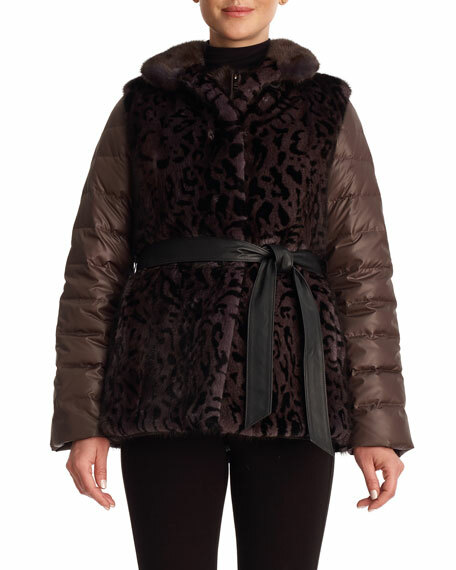 Jacket; short nap mink collar, zip front, semi-fitted. May be worn together or separately. For in-store inquiries, use sku #2288447.